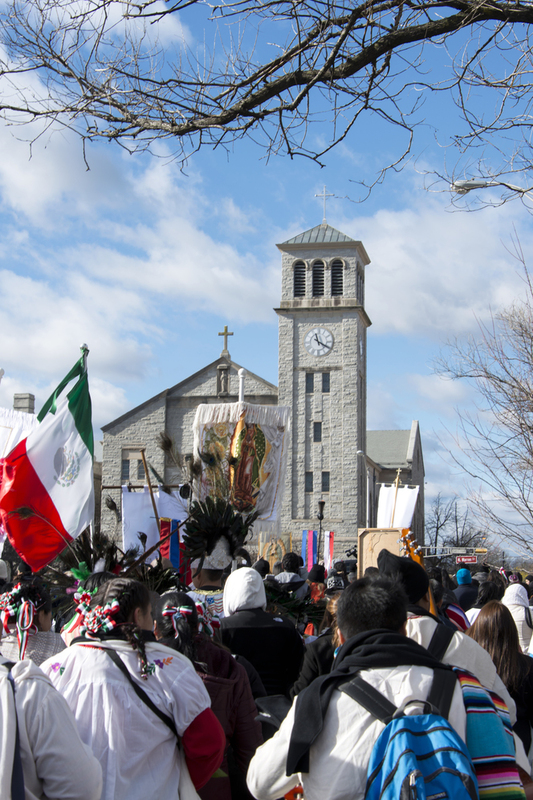 In honor of Our Lady of Guadalupe, the Diocesan family from all corners of the DoT gathers for a transformative procession through the streets of Trenton with prayers, singing, dancing and much love. Gathering in one of 4 options on Dec. 1, EVERYONE was invited to participate in this profound witness of faith. 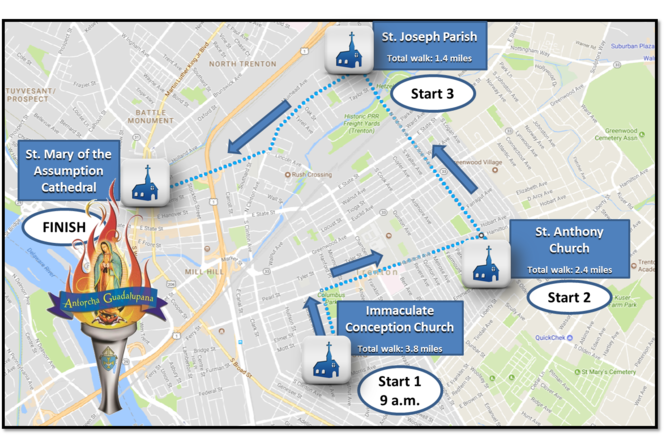 Leaving from Immaculate Conception Church, Trenton, at 9 a.m., pilgrims made their way near St. Anthony Church, Hamilton, and then on to St. Joseph Church, Trenton, to begin the final walk to St. Mary of the Assumption Cathedral for Mass with Bishop O&apos;Connell and a faith-inspiring celebration. Mass begins at noon with Bishop. Lunch (available for purchase) and fellowship followed in the cathedral cafeteria. The entire Guadalupe Pilgrimage is streamed live on diocesan websites and social media. The Guadalupe Pilgrimage through Trenton and Mass with Bishop O&apos;Connell will be streamed live on our Spanish-language Facebook page.